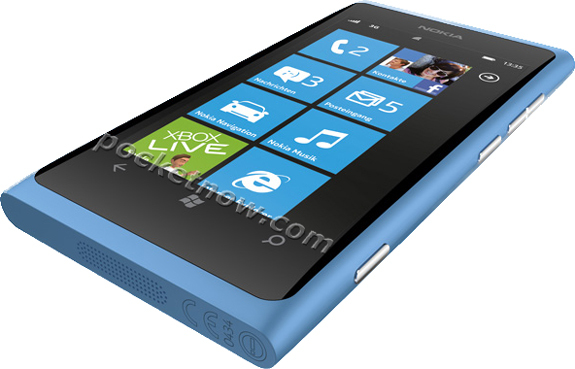 Nokia is set to launch its new Windows Phones at Nokia World next week, but some renders have leaked of the 800, formerly code named Sea Ray. 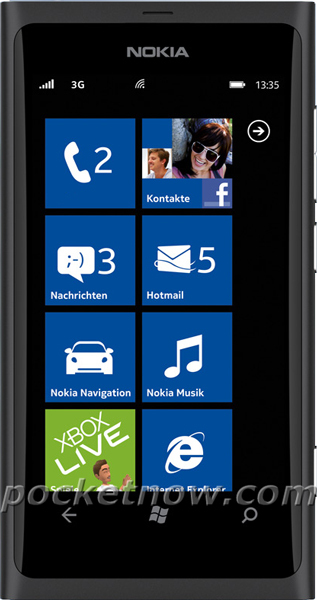 The phone sports the Meego-based N9’s industrial design language, paired with a 3.7″ screen and Windows Phone 7.5 (Mango). It should be available in black, blue, and pink. 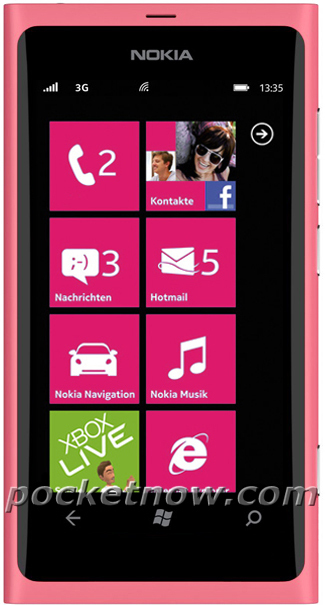 Some other findings from these images: Nokia has replaced Windows Phone’s default Segoe WP font with its own font, Pure, and the phone shows Nokia Music, so where will Microsoft’s Zune Marketplace go? Rumored specs include: 3.7″ ClearBlack AMOLED screen, 1.4 GHz Qualcomm CPU, 16GB storage, 8 MP camera with Carl Zeiss lens, 1540 mAh battery.